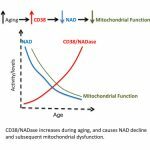 As we age, our levels of the Co-enzyme Nicotinamide Adenine Dinucleotide NAD+ drop significantly in multiple organs in mice and humans (5,8,10). 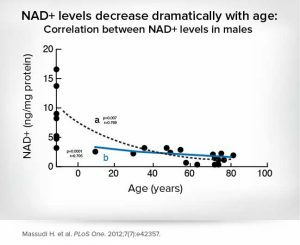 NAD+ decrease is described as a trigger in age-associated decline(23), and perhaps even the key factor in why we age (5). 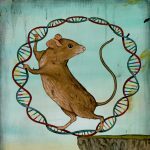 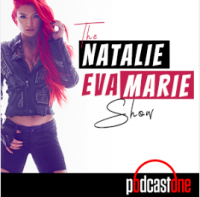 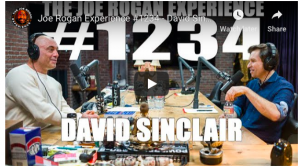 In 2013, research published by Dr David Sinclair demonstrated that short term supplementation with Nicotinamide MonoNucleotide (NMN) replenished NAD+ and reversed many aspects of aging, making the cells of old mice resemble those of much younger mice, and greatly improving their health (8). 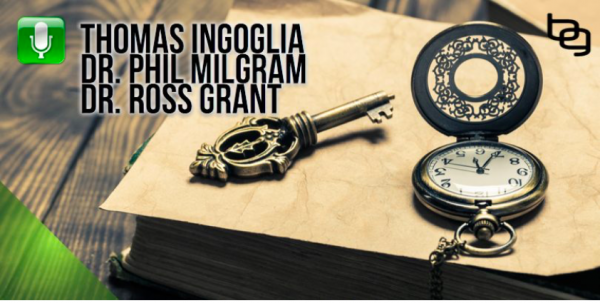 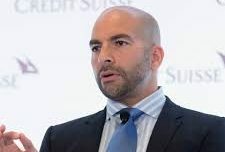 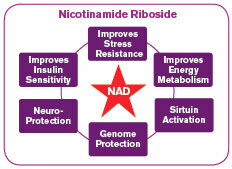 Since Dr Sinclairs landmark 2013 study, dozens of others have been published investigating the efficacy of supplementation with NMN and Nicotinamide Riboside (NR) in treatment and prevention of a wide range of disease including cancer, cardiovascular disease, diabetes, Alzheimers, Parkinsons, and more (5,6,7,9,10,11,13,14,15,16). 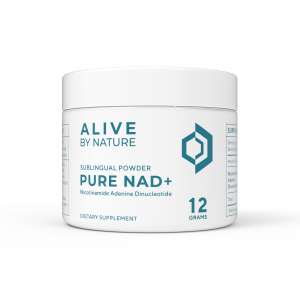 Nicotinamide Riboside (NR) and NMN are precursors that are used by our bodies to replenish NAD+ levels. 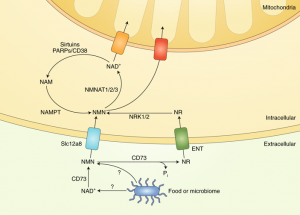 In 2004 Dr Charles Brenner published a paper showing that the enzyme Nrk1 can catalyze NR directly to NMN (100) which might make it a more effective precursor to NAD+ than the previously known NAM, NA, or Tryptophan. 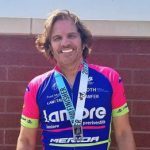 Although NR is unstable by itself, Dartmouth University has patented production methods that combine it with Chloride which makes it stable. 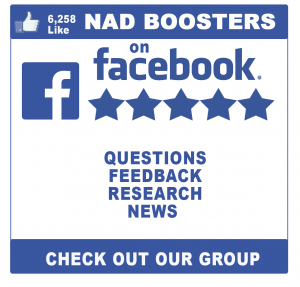 Chromadex has licensed this technology and has been selling NR commercially since 2014 under the brand name “Niagen”. 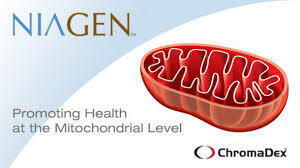 Tru Niagen is the brand name used by Dr Brenner’s company ProHealthSpan to market their Niagen product. 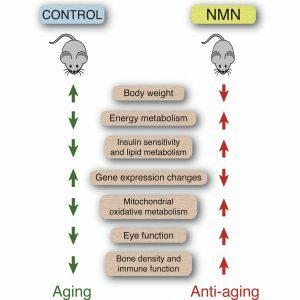 Over time, decreasing NAD+ impairs the cell’s ability to make energy, which leads to aging and disease (8, 5) and perhaps even the key factor in why we age (5). 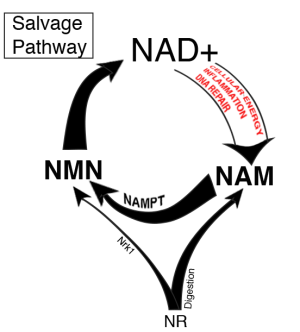 This constant recycling of NAD+ is through the salvage pathway, where the enzyme Nampt catalyzes NAM to NMN, which is then metabolized to NAD+. 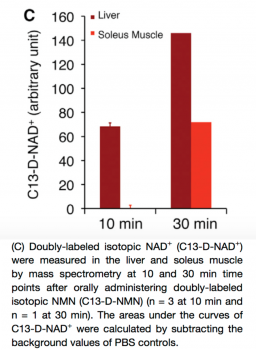 The chart at right shows levels of a double labeled NAD+ (C13-d-nad+) in liver and soleus muscle at 10 and 30 minutes after oral administration of double labeled NMN. 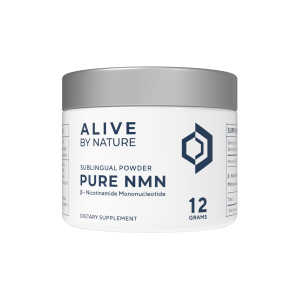 This clearly shows that NMN makes its way through the liver, into muscle, and is metabolized to NAD+ in 30 minutes (23) . 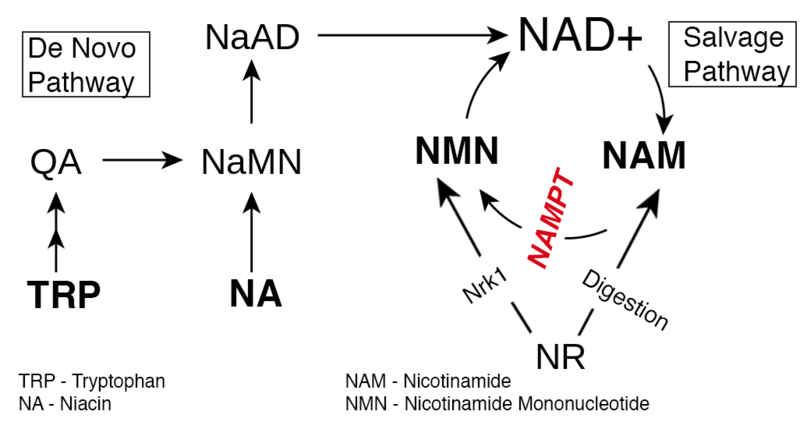 Orally administered NMN is quickly absorbed, efﬁciently transported into blood circulation, and immediately converted to NAD+in major metabolic tissues (23). 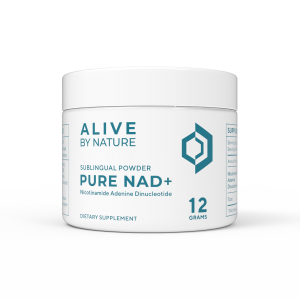 In this 2017 study, NMN supplementation for 4 days significantly elevated NAD+ and SIRT1, which protected the mice from Kidney damage. 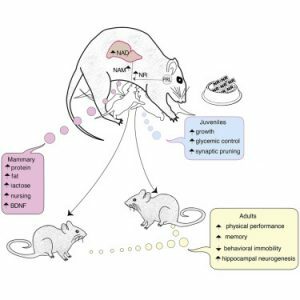 In a long-term experiment documented in the 2016 study (23) , mice were given 2 different doses of NMN over 12 months. 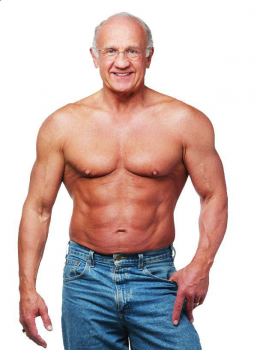 Researchers found that NMN administration suppressed body weight gain by 4% and 9% in the 100 and 300 mg/kg/day groups. 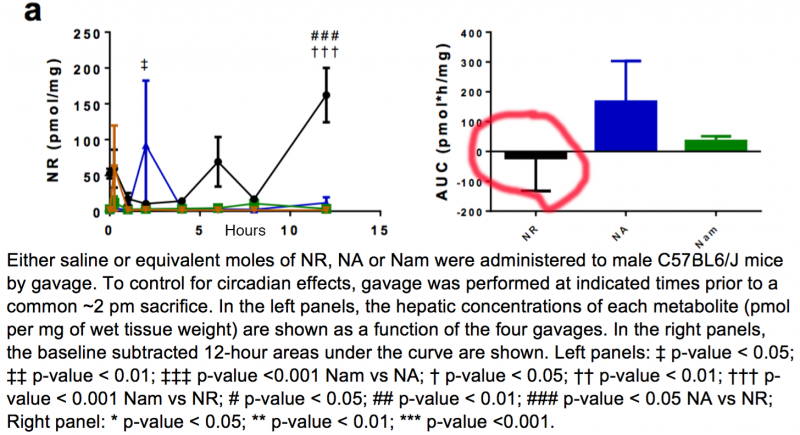 Analyses of blood chemistry panels and urine did not detect any sign of toxicity from NMN. 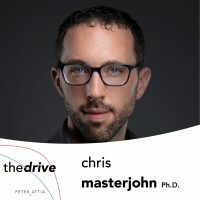 Although health span was clearly improved, there was no difference in maximum lifespan observed. 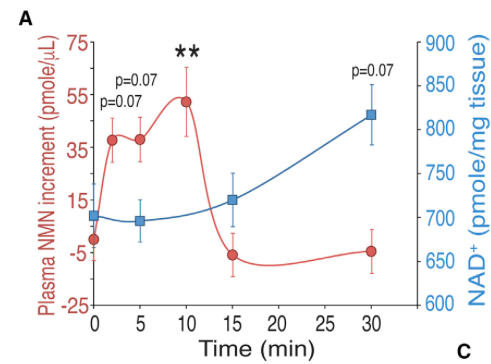 Oxygen consumption significantly increased in both 100 and 300 mg/kg/day groups during both light and dark periods (Figure 3A). 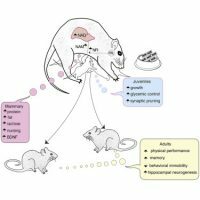 Energy expenditure also showed significant increases (Figure 3B). 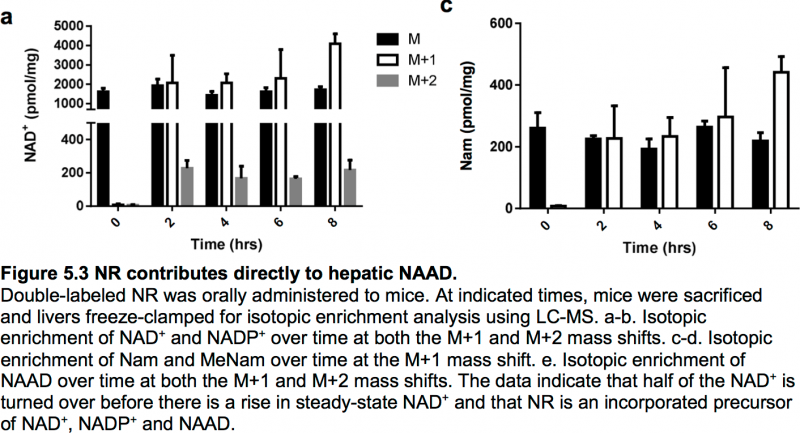 This suggests that NMN-administered mice switched their main energy source from glucose to fatty acids. 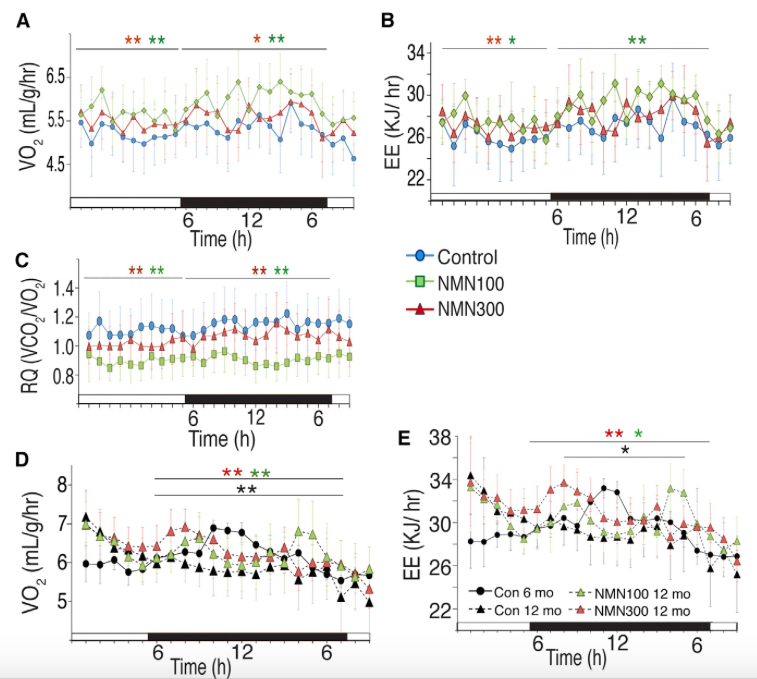 The mice that had been receiving NMN for 12 months exhibited energy levels, food and water consumption equivalent to the mice in the control group that were 6 months younger. 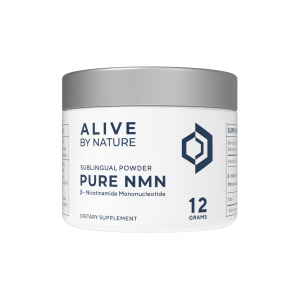 The first clinical trial of NMN in humans is currently underway by an international collaborative team between Keio University School of Medicine in Tokyo and Washington University School of Medicine (33). 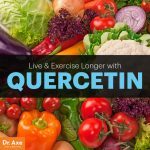 Participants are 50 healthy women between 55 and 70 years of age with slightly high blood glucose,BMI and triglyceride levels. 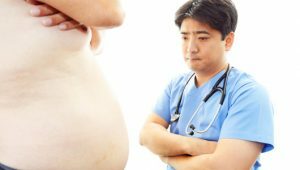 Testing of metabolic parameter will continue for 2 years after supplementation has ended, so final results will not be published for some time yet, but preliminary results are expected to be announced in early 2018. 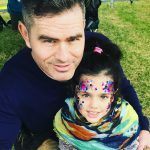 Few Things To Consider Before Going Low-Carb! 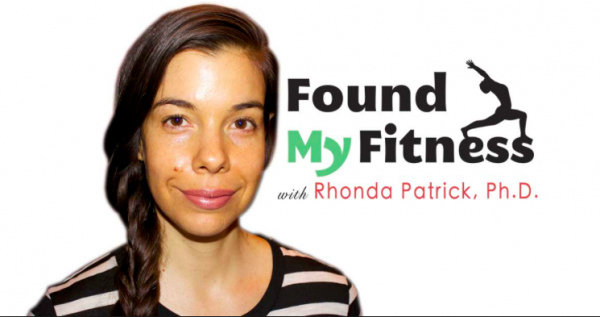 Low-Fat vs Low-Carb Diet: Which is More Effective?